Fill out the form below and our Program Director will be happy to contact you to answer all of your questions. 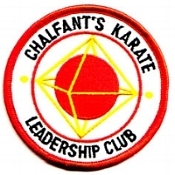 For over 25 years Chalfant's Academy of Karate has been serving the communities of Henry County, empowering adults and children with valuable character traits and life skills. Enabling them with the skills necessary to succeed in all aspects of their lives.